What sets the Lure II apart from other tandems is the multi-configuration options. Paddle with a friend or family member, one can control the boat and keep an eye on the fish finder while the other fishes and vice versa. The Lure II can also be paddled as a solo kayak from the rear seat position – with a multitude of options. In the solo position, you can remove the front Gravity seat providing even more room for standing and storage, add a stand up bar to sight cast or cooler to sit on. 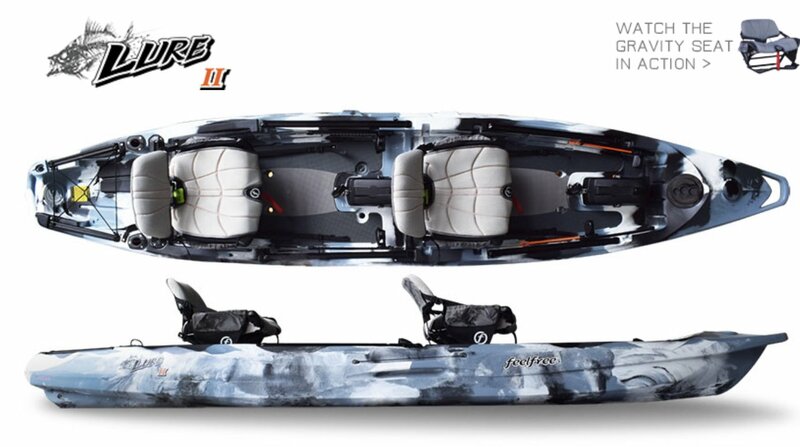 Stand, sit high, sit low, one or two anglers, pedal*, paddle, power* and go fishing, the Lure II will be the one boat that can truly replace them all.